NewSouth author and award-winning journalist Rheta Grimsley Johnson has been named the winner of the 2010 Clarence Cason Award in Nonfiction Writing. Established in 1997 to honor exemplary non-fiction writing over a long career, the Cason Award is given annually by the University of Alabama’s journalism department within the Alabama College of Communication and Information Sciences. Johnson will receive the award at a banquet in her honor at the Hotel Capstone in Tuscaloosa, Alabama on Tuesday, March 9. Rheta Grimsley Johnson has covered the South for over three decades as a newspaper reporter and columnist, and her memorable career is punctuated by her distinctive writing voice and an unerring knack for revealing her much-loved South through uncommon stories about its common people. Johnson is no stranger to receiving awards—she’s garnered many during her over three decade tenure covering the South, including the Ernie Pyle Memorial Award for human interest reporting (1983), the Headliner Award for commentary (1985), and the American Society of Newspaper Editors’ Distinguished Writing Award for commentary (1982). In 1986 Johnson was inducted into the Scripps Howard Newspapers Editorial Hall of Fame, and in 1991 she was one of the three finalists for the Pulitzer Prize for commentary. Syndicated today by King Features of New York, Johnson’s column appears in about fifty papers nationwide. Johnson is also the author of several books, including the NewSouth published Poor Man’s Provence: Finding Myself in Cajun Louisiana and the forthcoming Enchanted Evening Barbie and the Second Coming: A Memoir. The evening’s event begins at 6:00 p.m., and tickets for the dinner are $50. To order tickets, call Sheila Davis at 205-348-4787. During the summer of 1963, before my senior year in high school, I met an African-American Methodist minister from Tuskegee — Rev. J.C. Wilson was his name — who encouraged me to gather some white teens from Auburn to meet with some of the youth of his church, the Bowen United Methodist Church. Auburn High School was segregated at the time, so my white friends and I met a number of times to plan our trip to Tuskegee, planning for Lingo’s troopers, etc. We encountered nothing like what you did in Montgomery, but did have our car tags run when we all got together at the Wesley Foundation at Auburn. A year or so later, in late 1964 or early 1965, at a meeting of the Alabama Council on Human Relations, I shared some of these experiences and impressions with Virginia Durr, the white civil rights activist who played such a crucial role in helping bring about change in Alabama. She asked why my friends and I had not met with the black youths in Auburn. She had a great point, to which my only answer was that we had to start somewhere. I do think that what our getting together did in some small way help pave the way for integrating the high schools after I left for college. Separately, let me also mention that as a result of my contact with Rev. Wilson, I was asked to speak at the annual youth meeting of the Central Conference of the Methodist Church, held in Birmingham in June 1964. It was held at St. Paul’s Methodist Church, which is located on the same block as the Sixteenth Street Baptist Church. I traveled to Birmingham in the company of a friend. You can imagine our astonishment to see the bombed church. Tensions at that time still ran so high that the sight of two white boys in the black crowd outside the church occasioned a red pickup truck that was turning the corner to screech to a stop! You can understand when I say that we were somewhat scared. But clearly, Bob, you understand that change can be frightening sometimes. New York Times best-selling author Mary Kay Andrews chooses her words — and, it seems, her bedtime reading material — carefully. Fortunately for NewSouth Books, Enchanted Evening Barbie and the Second Coming by Rheta Grimsley Johnson won a spot on her night table and now on her blog. The author of Savannah Breeze, Blue Christmas, and the soon-to-be-published The FIxer Upper calls Enchanted Evening Barbie a “Valentine to life in the South,” and praises Johnson’s “ability to make both the comic and tragic come alive in this wonderful memoir.” Thanks, Ms. Andrews, for the gift. 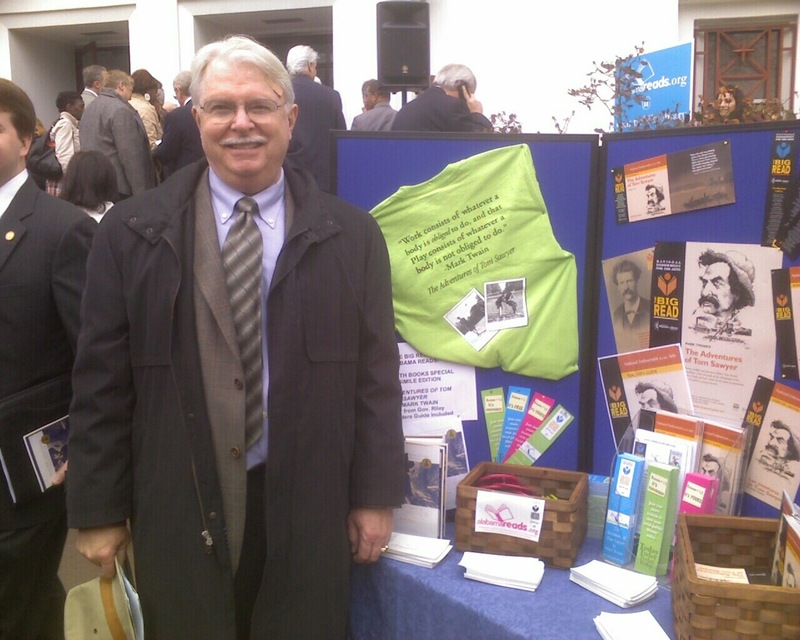 NewSouth author Steve Suitts recently contributed an op-editorial to the Daily Report, Fulton County Georgia’s leading source for legal news and information. In the editorial, Suitts, author of Hugo Black of Alabama: How His Roots and Early Career Shaped the Great Champion of the Constitution, discusses the historical context of a recent Supreme Court ruling which struck down congressional limits on corporate campaign contributions. Suitts also discusses Hugo Black’s role as the only Supreme Court justice to previously address the constitutionality of treating corporations as persons, an opinion he provided twice during his time on the bench. Steve Suitts is the founder of the Civil Liberties Union of Alabama, the vice president of the Southern Education Foundation in Atlanta, and an adjunct lecturer at Emory University’s Institute of Liberal Arts. Hugo Black of Alabama is Suitts’s definitive study of Supreme Court justice Hugo Black’s origins and influences and offers fresh insights into the justice’s character, thought processes, and instincts. Hugo Black of Alabama is available directly from NewSouth Books, Amazon.com, or your favorite online or local retailer. “It may still be frosty outside but in the South it’s always Okra Season!” So says the Southern Independent Booksellers Alliance (SIBA) in announcing the books named to its 2010 winter/spring Okra Picks list. 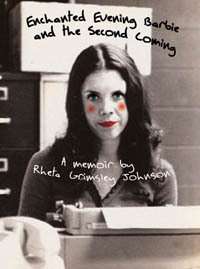 Lucky for us at NewSouth, Rheta Grimsley Johnson’s new memoir made the cut. Thanks, SIBA. Maybe writer and reviewer Nancy Pate said it best in considering the bushel of literary delights: “I think I need a snack to tide me over.” We agree! Of Enchanted Evening Barbie and the Second Coming, Rick Bragg says, “Rheta Grimsley Johnson writes with nothing short of beauty about childhood, lost loves, sad dogs, and everything else worth knowing about.” Watch for it in April. You are currently browsing the NewSouth Books weblog archives for February, 2010.